Since 2001, hundreds of engineers around the globe have relied daily on Mediaproxy’s unified software solutions for 24/7 monitoring, analysis, multiviewing and capture of live video from broadcast and OTT sources. With Mediaproxy's continual development of their solutions these hundreds of engineers continue to do so. One of the features you may have seen at IBC 2018 is 'Monwall'. 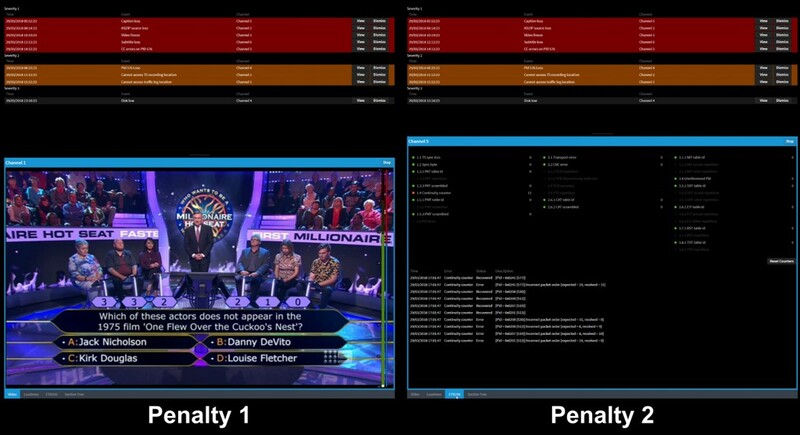 This is Mediaproxy’s interactive multiviewer software with new and fully customisable penalty boxes which, enables operators to monitor events by exception through configurable threshold for various video, audio and metadata events. Mediaproxy's new source comparison feature for real-time identification of mismatched content made its European debut on stand at IBC 2018. The result is Mediaflex-UMS driven software-defined workflows which will utilise Mediaproxy recorded content and metadata. Mediaflex users are also able to locate Mediaproxy assets by searching Mediaflex: our customers are now able to search through continuous broadcast compliance logs and off air recordings to find specific content, references, and metadata to be used with all the power of Mediaflex workflows. At IBC 2018, Mediaproxy also demonstrated its new AI engine that has been added to LogServer to detect advertisers’ logos, parental guidance and viewer warnings, offering operators multiple monitoring and competitive analysis options. Finally, Mediaproxy demonstrated the latest version of LogPlayer. This leading-edge HTML5-based platform allows access to recorded content from anywhere in the world and includes automated workflows, enabling instant publishing to social media channels. Posted in IBC, Latest News, Mediaproxy and tagged #IBC2018, AI, AI Engine, Broadcast, IBC Show, IP Analysis, IP Compliance, IP Monitoring, LogPlayer, LogServer, Monwall, NewTek NDI, OTT, Post IBC News, SMPTE 2022-6, SMPTE 2110.